The boiler’s broken, there’s no heating or hot water. Inevitably this kind of disaster doesn’t tend to take place during the summer months but usually in the winter months – probably just about around Christmas day or when you’re about to throw a dinner party. It’s a tenant’s worst nightmare – you’re paying a significant sum of your monthly income to a landlord every month for the use of a warm property with hot running water but you get up one morning and the boiler doesn’t work. You get out the manual, you try to work out what’s wrong but the only conclusion that you manage to draw is that you really can’t do anything to fix it yourself. Inevitably this kind of disaster doesn’t tend to take place during the summer months but usually in the winter months – probably just about around Christmas day or when you’re about to throw a dinner party. But what rights do you have in this situation and how can you make sure everything is up and running as soon as possible with the minimal disruption to your life? First of all remember that your tenancy gives you a right to have heating and hot water and it’s the landlord’s duty to maintain the boiler and make sure that it works. It doesn’t matter what your landlord says, it’s their responsibility unless you have damaged the boiler in some way or not looked after it as you should have. Remember that there’s going to be some degree of disruption when it comes to getting these kinds of issues fixed, no matter how quickly the response so try to be patient, particularly if you’re suffering from problems like this during an especially busy time. On a practical level, your landlord – or their agent – should have some sort of servicing agreement in place with whoever installed the boiler so it should simply be a case of arranging an appointment with that service engineer to come and take a look at the boiler and come up with a solution as soon as possible. The landlord or agent should arrange an appointment and liaise with the repair men and keep you informed about what repairs are going to take place and how long that’s likely to take. Many will try to shift this responsibility to the tenant and if it’s easier to liaise with the engineer yourself then sometimes this is a good option but setting up, and paying for, the repairs falls squarely on the shoulders of the property owner or their representatives. 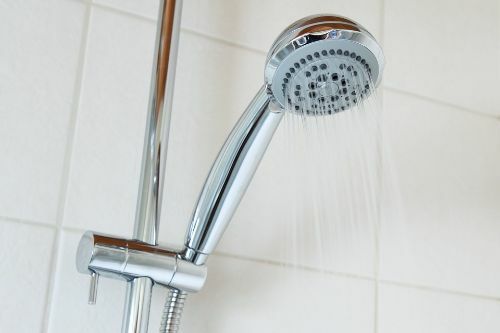 Of course, not all landlords are as efficient as most tenants would like so it does help to know your timescales when it comes to getting your heat and hot water supply restored. If you have a situation that counts as an emergency then repairs should really be carried out on the same day or as soon as practicable. An emergency would include a completely lack of water or total loss of heating during cold weather. So if you lose your heating and hot water during the summer then it won’t be quite as crucial as during the winter months. There are also certain situations in which it might be more pressing for the landlord to move quickly to fix the problem and if that is the case then you should let them know. For example, if you have young children and nowhere else to go when temperatures are dropping below freezing or you are not well. We’ve all been through situations like this as tenants – you’re not alone! For more information take a look at the TTV help and advice guides or post a question to our forums and see if anyone else has been through the same situation and might be able to help.